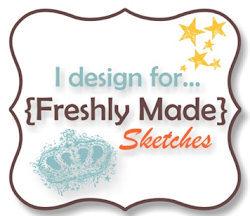 It’s Wednesday, so that means we have a new sketch for you to try at Freshly Made Sketches. This week our sketch has been designed by Linda Callahan. Linda’s cards always make me smile. The card I’ve created was a quick and easy one as I’ve been super busy getting for our Stampin’ Up! Onstage Event. I have three days of catch ups with friends I’ve met online and can’t wait for hugs and tons of laughs. You probably know by now that Petal Palette is my favourite flower set to colour and fussy cut. The flowers are quickly watercoloured with Blushing Bride Ink and the leaves are stamped in Pear Pizzazz Ink. 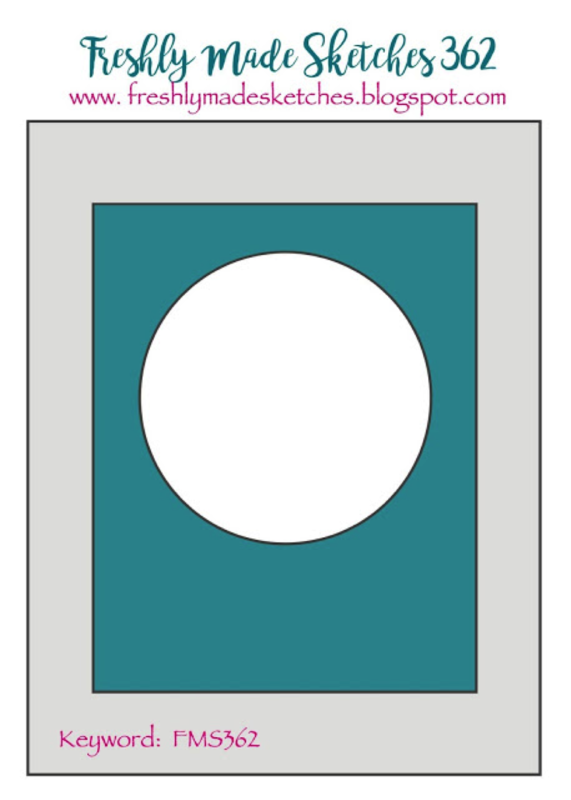 The sentiment I’ve used on my card is also from this set. The designer series paper I’ve used under the circle punch is from Twinkle Twinkle DSP. I’ve finished off my card with some Pool Party Bakers Twine and some Share What You Love Artisan Pearls. The Clean Team have created gorgeous cards to inspire you. Head over to the challenge and take a look at the card they’ve created. We would love it if you could play along with us. Beautiful flowers and that DSP peeking through the circle is fabulous! So pretty! What a gorgeous card Narelle! I love those beautiful flowers! The twine looks amazing too! Congrats again on your Artisan team selection!!! Another fussy cutting masterpiece! The Artisan team is so lucky to have you!! Congratulations! 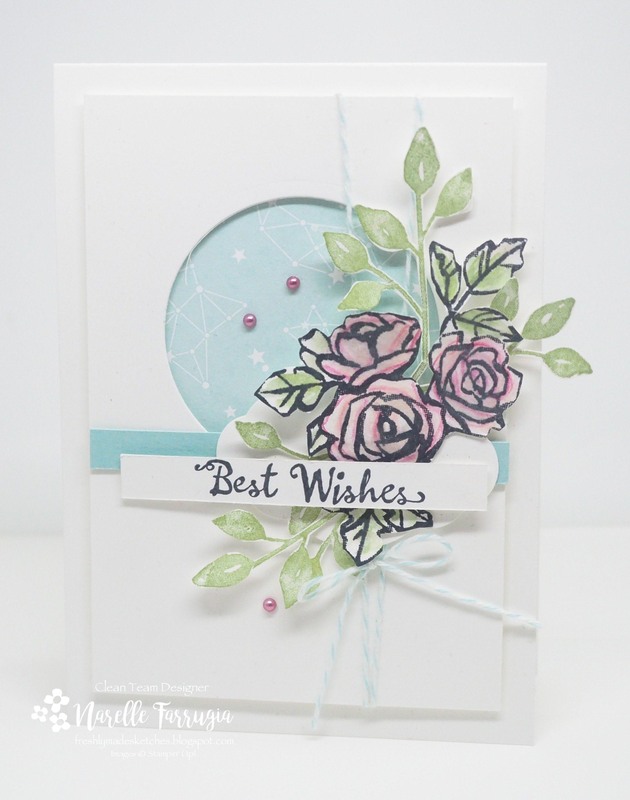 Another gorgeous card and yet more proof why you so deserve to be an Artisan! Congrats, again! What a great mix of elements! Love your soft blues behind that beautiful bouquet.